Home »Deep State»Q Anon: Wat brengt 2019 te beginnen in januari ? Q Anon: Wat brengt 2019 te beginnen in januari ? Met de zoekwoorden ‘Q Anon 2019’ kwam ik terecht in de zoekmachines op een artikel van de New York Times. Vreemd want de MSM berichten hoegenaamd niets of zo min mogelijk over ‘Q’. Hoe kan het dan dat dit artikel op nummer #1 staat bij een MSM site? Antwoord, Google zorgt dat de massa nog zo lang mogelijk blijft slapen. Hier is de korte versie: Q beweert een insider van de overheid te zijn die een diepgewortelde, internationale bureaucratie blootlegt die in het geheim allerlei kwaadwillige plannen tegen de regering van Trump en haar aanhangers in kaart brengt. Het personage maakt gebruik van lingo, wat inhoudt dat hij of zij een militaire of inlichtingenachtergrond heeft. Het is een stoofpot van verschillende, maar verbindende, samenzweringstheorieën die meneer Trump in het algemeen als een conquistador vasthoudt die vecht tegen een kliek van anti-Amerikaanse saboteurs die de overheid, de industrie, de media en diverse andere instellingen van het openbare leven hebben overgenomen in een plan om … nou ja , de overkoepelende doelen van de snode actoren zijn niet duidelijk. Persoonlijk vindt ik het een eer dat de NYT zich zoveel moeite getroost om de Q leugens te ontmantelen. Maar … wat zijn de woorden van de MSM nog waar gezien het feit dat er geen enkele wereldburger meer te vinden is die nog nooit van de term ‘Fake News’ gehoord heeft. Zie je hoe de media die nieuwe abortuswet in New York aan de massa verkoopt? Trump zou Roe v Wade willen terugdraaien. Roe v Wade was de uiterst controversiele uitspraak van het Amerikaanse Hooggerechtshof in 1973 die abortus landelijk legaal maakte en betaalbaar middels federale subsidies aan Planned Parenthood, waardoor de Amerikaanse belastingbetaler automatisch meebetaalt aan deze GENOCIDE. Sindsdien zijn er alleen al in Amerika 61 MILJOEN ‘ongewenste’ zwangerschappen vroegtijdig afgebroken. Hitler, Stalin en Mao kunnen hier nog een puntje aan zuigen! Maar nee, dit is een ‘burgerrecht’ voor vrouwen. Sindsdien heeft ze spijt en is ze zei een christen en anti-abortusactivist geworden. Hier in NL mag je tot 24 weken een abortus laten plegen. En dat terwijl het hartje al na 8 weken begint te kloppen! In New York was dit tot voor deze wet 22 weken, de langste termijn in heel Amerika. – Geen maximale termijn meer voor abortus. Baby’s mogen TOT AAN DE DAG VAN GEBOORTE worden geaborteerd! – Uitbreiding van de bevoegdheid van medische artsen naar verplegend personeel en zelfs KRAAMVROUWEN om abortussen te verrichten. – Opheffing van de MEDISCHE PLICHT van artsen om het leven van het ongeboren kind te redden indien een abortus mislukt. De vrucht wordt vanaf nu dus HOE DAN OOK vermoord! WOW, incredibly fast developments with lots of unexpected twists and turns! Only a day after Trump said he wouldn’t cave on the issue of the wall, he caved. At least, those on the “alt right”, i.e. fair-weather Trump supporters who don’t follow Q, are saying he did. Or did he? I guess these hyper-emotional folks don’t know how to Trust The Plan. Or as Q puts it: Emotion clouds judgment, think logically, expand your thinking. What Trump has done is actually a stroke of genius! The Dems kept saying they wouldn’t negotiate unless POTUS reopened the govt. They counted on Trump not budging, so they wouldn’t have to either. They wanted a stalemate, so they could outtoughen and outsmart Trump. But guess who’s the toughest and smartest now, eh? By temporarily ending the shutdown, Trump has forced his opponents’ hands and now they have no choice but to work out a deal on behalf of their voter base or they will expose themselves as the obstructionists they really are. Meanwhile, Trump can have his SOTU as planned next Tuesday and repeat his talking points about border security, as well as bring good tidings about the economy, something the Dems wanted to avoid at all cost. If by Feb. 15 there is still no deal, Trump will shut down the govt once more and the Dems will be worse off for it. How brilliant is that? Trust the plan! Your video about the Covington kids highlighted just one of several fake MSM news stories that were exposed. There was the slandering of Sen. Lindsey Graham, who has flipped from a never-Trumper to one of Trump’s closest allies. According to the MSM, that’s because he’s a closet homosexual and Trump is blackmailing him about this. No evidence necessary, of course. In reality, Graham’s handler, John McCain, passed away (i.e. he was executed), thus freeing Graham. Another phony story was Trump instructing his former attorney Michael Cohen to lie about plans to build a Trump tower in Moscow while on the campaign trail (a deal that was eventually blown off). This was refuted by Robert Mueller’s team, causing the MSM to go flat on their asses once again. All of this helps to destroy the credibility of the MSM, which is why Trump and the white hats are allowing this to happen. It’s fun to see the radical left and their media cronies eat their own! In a desperate effort to control the news cycle and distract the public from their MAGA = racism fiasco, their next story is the indictment and arrest of Roger Stone, another one of Trump’s former confidantes. This will also prove to be a nothing burger. Did you see Stone’s press conference a few hours later after posting bail? He was booed and there were chants of ‘lock him up!’. Those were reporters doing that! But it’s all good. Let the beast show its ugly face for all to see. Just like New York State, which now has a Democratic majority, voted for FULL-TERM abortion, right up to the baby;’s birthday! No longer can they tell us it’s just “flakes” and not a real fetus, this is open satanic child sacrifice and the fact that they’re no longer hiding their true agenda tells me they’re desperate and running out of time. It’s also what will open the eyes of the masses. Remember, the white hats have it all and can drop the hammer at any time they want, it’s all about optics and public acceptance. Updates will be coming more frequently, as events progress at lightning speed! Today Theresa May will be presenting her “Plan B” to Parliament. My apologies for getting the date wrong in my previous message, I had it confused with the SOTU, which will take place on Jan. 29 (more about that later). May’s alternative plan will fail miserably, Corbyn has even refused to speak with her! So what’s next for May? Please resign already! I’m sticking to the impeachment scenario, pay close attention to Boris Johnson. POTUS did not ground Pelosi’s plane just to troll her. In 2010, Judicial Watch uncovered that she has a history of using government-funded military transport for personal trips, complete with alcoholic beverages and who knows what else (children?). The decadence of these people on the taxpayer’s dime truly knows no bounds. This time around, though, her motive to fly to foreign destinations may have been very sinister indeed. The bus that was transporting her and her following to the airport contained no less than 93 people. Is this a reference to Flight 93 which was on its way to the White House on 9/11? 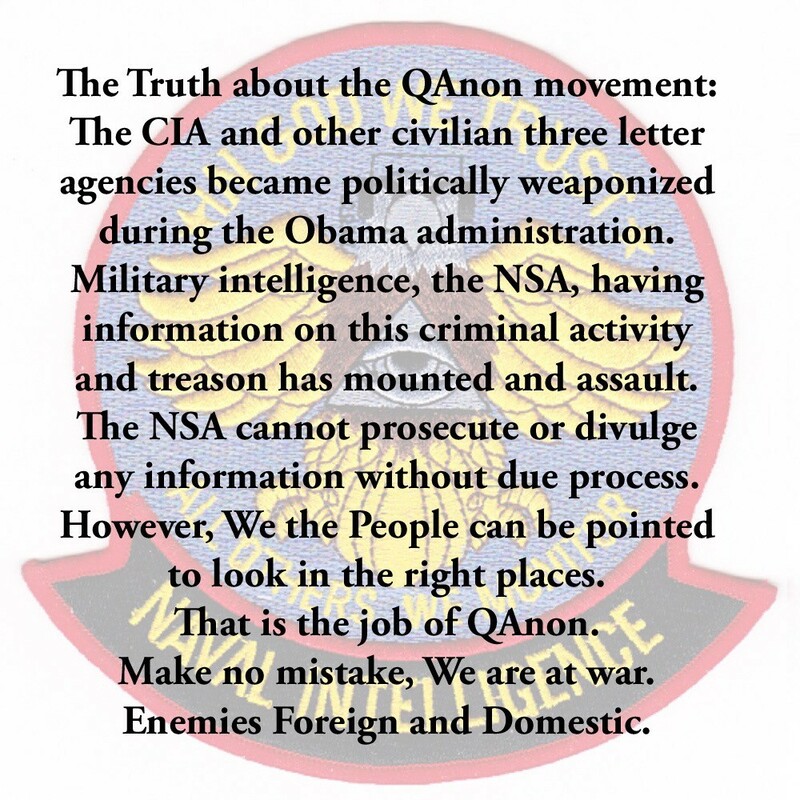 This is the one target they missed to complete their coup and I’m convinced that it was the very same patriots that are now dismantling the Deep State that took down this plane. Madam Speaker today. President Pelosi tomorrow. MLK weekend underway. WTF?! Pelosi is Speaker of the House today, but in the event of both Trump and Pence getting killed she is the designated survivor. How would you interpret the MLK reference other than political assassination? Is this why Pelosi wanted to postpone the SOTU due to “security concerns”? Is this also why she wanted to flee the country with high-ranking Deep State politicians and family members? Seems to me she doesn’t want to be in the same room with POTUS and VPP during the SOTU. And look at the planned destinations of her 7-day trip: Brussels (EU HQ), Cairo (Muslim Brotherhood HQ) and Afghanistan (Heroin Central). Was this supposed to be a coordinated effort to hatch a plan for a “terrorist attack” during the SOTU with Pelosi and her cabinet safely abroad? 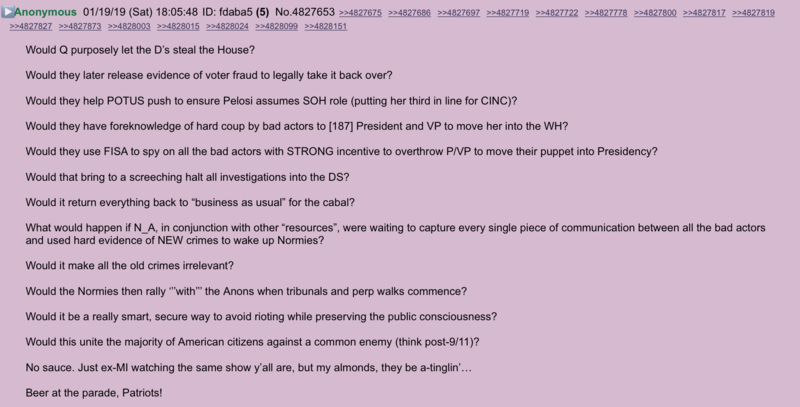 Trump and the white hats are making it very clear that ‘Patriots are in control’, as Q writes. The SOTU will take place next Tuesday and Pelosi and all the other vermin will be in the room with POTUS and his VP. This may well be Trump’s safeguard against assassination! It’ll be even more fun to watch Nancy’s sour face while POTUS delivers his speech than last year! I’m sure you’re aware of the offer to the Democrats made by Trump on Friday. So not only do the Dems first take off to Puerto Rico, then plan to fly to 3 different destinations for another week, rather than negotiate with Trump about the shutdown crisis over the border wall, Pelosi also released a written statement 30 minutes prior to Trump’s address to the nation that his offer has been rejected – she didn’t even wait for POTUS to utter these words! The hubris of these people is truly sickening and I hope the American people will see this for what it is and support POTUS when he pronounces a national emergency during his SOTU (that’s what I predict, anyway). Then there’s this bogus story published by Buzzfeed, the very same dregs who came out with the “Piss Gate” dossier, doctored up by British MI6 agent Christopher Steele and paid for by Team Hillary. This time around, Buzzfeed claimed to have a “scoop”: Trump ordered his former lawyer Michael Cohen to lie about their plans about building a Trump Tower in Moscow during his campaign. Immediately, the MSM and the Dems pounced on this, calling it an impeachable offense, only to have their hopes crushed when none other than Robert Mueller’s office communicated that this story is false. OOPS! Even CNN had to admit that this was ‘a bad day for journalism’. It’s fun to see the leftist media eat their own. And wouldn’t you know it, Buzzfeed is sticking with the story, because if they retract they’re finished. I see a parallel here: May is sticking with her Brexit fail, Pelosi and Schumer are sticking with their shutdown fail and Buzzfeed is sticking with their propaganda fail. They can’t back down and the only way is down. Looks to me the only ones that are stuck are these globalists! 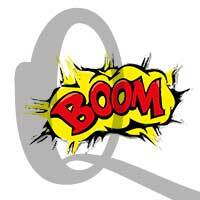 As Q writes: never interrupt an enemy while he’s busy destroying himself. So why did Mueller come out disputing the Buzzfeed story? Either Mueller has been a white hat from the get-go or the white hats have leverage on him and he’s basically doing as he’s told to save himself. Isn’t it interesting that every time there’s a “news” story connected with the Mueller probe that could potentially harm the President Mueller contradicts it? The Deep State is starting to catch on to this as well, as they see their big hero not quite living up to their expectations. They fear the Mueller report may not be all that it’s cracked up to be and their new hope is Bill Barr, Trump’s nominee for the position of AG, another very strategic move by the white hats. Barr will adhere to the rule of law, however, and not be a part of this political witch hunt. The Deep State is being played like a violin. In the words of Q: These people are stupid. We are moving ever closer to complete disclosure: Benghazi, Haiti, Uranium One, FISA, voter fraud, Pedogate, the whole nine yards. The patriots are holding all of this back until the time is right, which I predict will be after the Mueller report. The patriots first need to have Barr as well as another SC judge put in place, so I think we’re looking at March at the earliest. Another interesting fact is that Court TV will be up again in May, after a 10-year absence. Then there’s the renovation of Gitmo, as well as the two huge prison barges which were spotted sailing to Cuba in December 2018. As I wrote before, we should have plenty to write about in the near future! zo moet journalistiek zijn …. Time for another update, since events are unfolding at breakneck speed. Let’s start with your country of the UK. As expected, Theresa May lost the vote for her Chequers plan. What was unexpected, however, was the huge margin by which she lost – a majority of 230 votes against her globalist deal and even 118 of her own party being opposed to this! Any self-respecting PM and party leader would have resigned after such a humiliating and historic defeat, but not May – her bankster bosses won’t let her. So now she’s facing the Herculean task of coming up with a viable Plan B, which will be debated in Westminster on Jan. 29. Meanwhile, the EU is refusing to budge even an inch, as it was a pretty sweet deal for them and not so much for Britain, as we all know. The only thing Brussels is willing to do is extend the deadline. May is only extending her eventual and inevitable demise and she can expect a coup by Boris Johnson who is no doubt already lobbying among other Tories to garner a majority to impeach her. Have you noticed how the complicit MSM are keeping this particular scenario silent? They’re talking about a Plan B, a People’s Vote (2nd referendum), an extension – anything but a change of Tory leadership resulting in a no-deal Brexit. It’s what they’re NOT reporting you should be paying attention to! May is facing her May Day and it’s fun to watch her political death throes. She has even had to cancel her trip to Davos. Another major globalist who’s not attending the World Economic Forum is Emmanuel Macron, who’s too busy trying to control the popular uprising known as the “yellow vests”, who are now targeting the banking system in an effort to bring down Macron and his cronies. The only mistake they made was that they telegraphed their intention to cause a bank run last weekend, causing banks to either limit the amount people were able to withdraw from cash machines or go on holiday altogether due to “glitches”. Watching Macron struggle for dear life is equally fun, globalism is dying and it’s dying fast! Another world leader who won’t be attending the WEF in Davos is Donald J. Trump. Trump couldn’t care less about Davos, he’s too busy trolling Chuck and Nancy from the White House. After only 10 days into office with their new House majority they decided it was an opportune time to “vacation” in Puerto Rico with 26 other Dems, rather than sit down with Trump to negotiate a deal for the border wall, while 800,000 government officials are not getting paid because of the shutdown. What’s more, Pelosi is blocking any and all efforts within her own party in favor of negotiations! It’s pretty clear what her agenda is: her globalist overlords don’t want the life blood choked out of the racketeering scheme they had going on at the southern border, complete with gun running ops, human trafficking and gang members and terrorists being able to enter unchecked (as is the case here in Europe and Britain). There’s more to this shutdown than meets the eye and Trump’s got the upper hand in more ways than one. He’s now educating the American public about what’s been going on at the southern border and this is reflected in the growing support for The Wall. But it gets better – Trump has a unique opportunity for a massive draining of the swamp! He can get rid of up to 80-85% of Deep State bureaucrats who couldn’t otherwise be fired, some of whom are even secretly working for the marxist Democratic Socialists of America and thus slow-walking or otherwise sabotaging Trump’s policies from within. Here’s how it works: after a 30-day shutdown, Trump has the authority to enforce so-called RIF (Reduction In Force) layoffs, thus drastically reducing the bloated size of the government and cause it to operate more effectively. Can you see how smart these white hats are and how well they’ve got this all figured out? 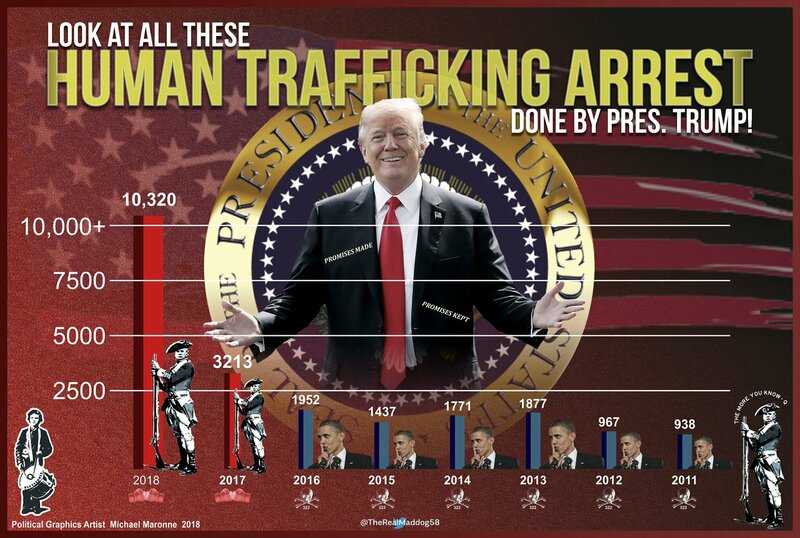 This is what QAnon meant with ‘Done in 30′, it’s all part of The Plan! In a state of absolute panic, Pelosi is now saying the SOTU is canceled, citing “security concerns”. The Secret Service has come out contradicting that statement, yet Pelosi insists on canceling anyway. She’s of course in no position to do so and POTUS will address the nation on Jan. 29, whether she likes it or not. But wait, there’s more: Trump sent Pelosi a letter, canceling her government-funded transport to Brussels and other destinations, urging her to renegotiate and end the shutdown instead. What’s more, when Trump sent that letter he waited until Nancy and co. were on a bus on their way to the airport, which is now driving around aimlessly so they can avoid having to face reporters! The American people (and the world) are now realizing these Deep State actors don’t care two shits for them and are not in the least serious about coming up with any real solutions. To quote a British term: snookered! Total and utter humiliation is around the corner, Dan. Expect Mueller’s report sometime in February. This will be hyped to no end by the Dems and their media like for weeks, suggesting that indictments and/or impeachment of Trump are imminent, only to find them having to face the music about the report being a complete dud with no real substance to it at all. We’re looking at an interesting spring ahead, as Ruth Bader Ginsberg (who will likely be pronounced dead or too sick to continue as a SCOTUS Justice before month’s end) gets replaced, Trump appoints a new World Bank chief and Bill Barr takes his seat as the new Attorney General. After the Mueller report spells the end of the fake Russian probe and all the right people have been put in position, with the left and their media puppets having spent all their ammunition, nothing will stand in the way anymore of Trump and the white hats releasing everything: the FISA abuse, the voter fraud, the pedophilia – it’ll all come out at once, prompting sudden and swift mass arrests. There are also Audit The Fed and End The IRS bills waiting in the wings, which will spell a definite end to the global central banking system and cause a global economic reset with gold-backed, debt-free money. As Q writes, Enjoy the show! My two 2018 articles in your magazine were one year too early, but at least I got it right on most points. The white hats set up the QAnon dissemination program to give us a peek behind the scenes about the Deep State and how they’re planning to take them down. Although this gives Q researchers foreknowledge, they were careful enough not to mention when exactly each chess move would take place. They know that if we get the times and dates wrong, so will the enemy. Think about how much has been accomplished out of the public eye in just two years’ time. 2019 will be the year of the Great Awakening of the masses worldwide. I assume you’re planning a spring edition of your magazine – by then, we will have lots of explosive stuff to write about! Millions of Americans, both Republican and Democrat, voted for President Donald J. Trump to reverse decades of failure by Washington and fix America’s broken immigration system. With that election, the American people sent a message that they are tired of politicians talking one way about our border and then acting another. President Trump will keep his promise. He has offered a strong, common-sense proposal to stop gang members, drug smugglers, and human traffickers from exploiting our Southern border. It’s a goal most Democrats claim to share. But when the Administration requested $5.7 billion—about .01 percent of the 2018 Federal budget—for construction of a border wall, Democrats walked away. No more political games. It’s time to come together and make a deal. 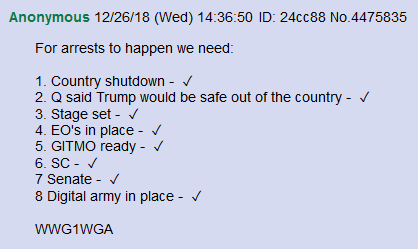 A quick Q update. 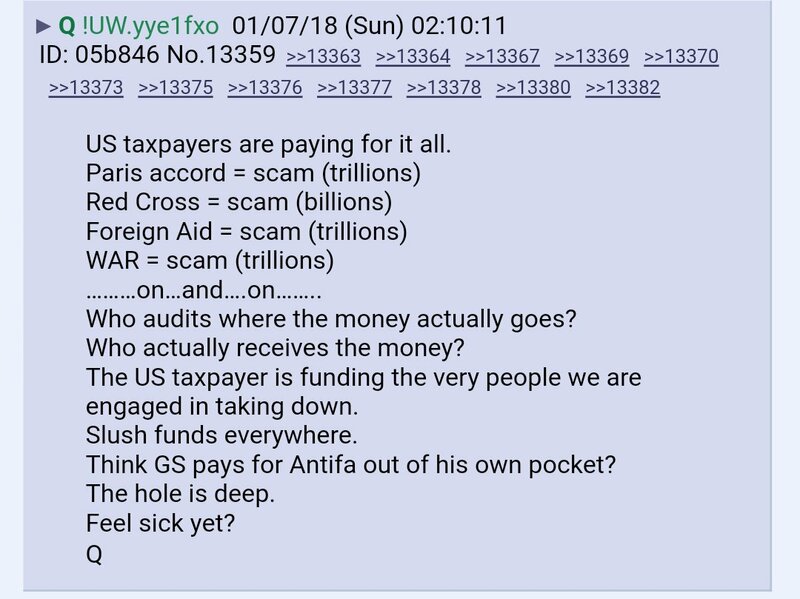 Yes, Q started posting again on Jan. 5th. Actually, it’s not so much a Q update as it is an attampted timeline, at the risk of getting my predictions wrong yet again. Shortly before Xmas, Trump shut down the government. This was a great tactic, as on Jan 3rd, the Dems took the House of Reps. Since the GOP took the Senate the Dems are lame ducks to begin with, but Trump decided he needed to one-up them anyway as a psychological advantage (the Art of War) by refusing to budge on the issue of The Wall, a major campaign issue. This not only boosts Trump’s base, but more importantly it checkmates Schumer and Pelosi, because if they fold they will look pretty bad shortly after taking the House, particularly Nancy, being the Speaker and all. So neither party’s willing to give in. Trump’s holding all the cards, though, since he can declare a national emergency at any given moment. Tonight at 9 EST (2 AM GMT, 3 AM CET), Trump will address the nation about this very issue. He may well annnounce a national emergency and it’s his constitutional right to do so. Of course Trump’s already got the funds to have the military construct the wall anyway, as he secured that in the 2018 Omnibus Bill. Takedown of the Fed starting prior to Davos World Economic Forum, Jan, 22-25, so Trump can show the banksters who’s boss. SOTU address by POTUS, Jan. 29, puts Deep State on further notice. 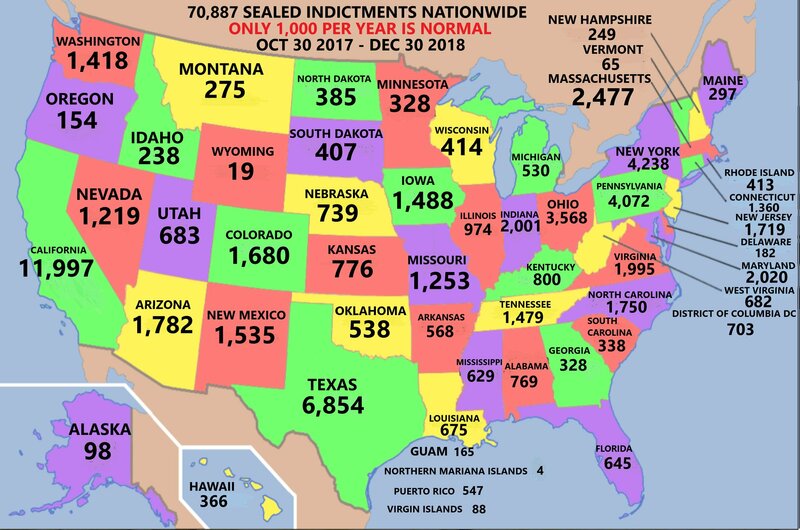 Mass arrests and unsealing of indictments will be swift and unexpected for the Deep State. My guess is this will happen after Mueller releases his report. This will prove to be another canard and it’ll be the final bit of ammo the Deep State and media can use against Trump and the white hats. Soon after that, the hammer will fall. Then there’s the very sickly Ruth Bader Ginsberg. She’s not showing up for the SC arguments, something she hasn’t done in 25 years. For all we know, she may be dead already. Expect an official pronouncement of death anytime soon. This will give Trump the opportunity to nominate yet another SCOTUS Justice. Since the GOP controls the Senate, expect a swift confrimation and swearing in also. MAGA! It’s shaping up to be a very exciting first month of 2019, fasten your seat belts! 06-01-2019 Vermoord omdat ze iets meer wist … ? Here’s a look back on 2018 and some predictions for 2019. One year of QAnon has taught us a very important lesson: don’t get hung up on certain dates. Q has been hyping certain dates and we all went along with that, ony to realize that things took a different turn after all. This, too, is part of The Plan. You see, if we get the dates wrong, then so do they. Remember, they’re reading the Q posts also. And once they do, they will end up expending some more of their ammo – until they have nothing left, which is when the hammer will drop. There are practically no war theaters left for them to start their much-coveted world war. ISIS has been all but defeated in Syria and Iraq and what’s left of it will be taken care of by Russia and Turkey, which is controlled by Russia. President Trump is so confident of this fact that he’s even decided to bring the troops home from Syria, which is another major blow to the Deep State’s agenda. This is also a partial pullout from Iraq, as a large portion of American troops have been moved to Syria and count as “troops in Syria”. Expect American troops to be pulled out of Afghanistan, Yemen and Ukraine as well in the coming year, as we move ever closer to world peace. The Deep State controlled civil leadership are the ones that started these unnecessary wars and it’s – oh sweet irony – military patriots who are now ending them once and for all. Trump brought about peace between the Koreas and pulled out of the Iran deal, effectively neutering NK and Iran as well as the Deep State actors who supported them. He also pulled out of the Paris Climate Accord. In another ironic twist, we now see the Yellow Vest protests in France, as the hardworking people of France are now realizing the disastrous nature of the carbon taxes that were agreed upon in Paris 3 years ago. Here in Holland the standard of living will drop next year as well because of ecofascism and I wouldn’t be at all surprised if we’ll be seeing people donning yellow vests and taking to the streets here as well. There will be peace in Yemen and Trump and Putin will take care of Ukraine one way or another. That will be the last war theater controlled by the Deep State, after that it’s game over. The white hats managed to secure the Senate, as well as a Supreme Court majority. Expect Ruth Bader Ginsberg to step down as well as a result of her age and health condition (cancer), allowing POTUS to put another conservative judge in her place. Justice Roberts, who is clearly being blackmailed to provide swing votes for the Deep State, may also resign “unexpectedly”. The white hats will leave much of the voter fraud that allowed the Dems to take the House for now. Some of the most blatant cases will be exposed and may lead to a marginal reshuffle, but they will be allowed to practice their antics to further alienate American voters from their insanely radical agenda and give them the illusion of power. Meanwhile, voter ID laws will be introduced (perhaps on the basis of an Executive Order) to secure fairness of the 2020 elections. But remember, FISA brings down the House. So when will they drop that bombshell? No one knows and I’m certainly not naming any dates anymore. Expect many more revelations to come out in 2019, particularly with regard to the Clinton Foundation. Keep an eye on Tom Fitton’s Judicial Watch, who I think is part of the white hats. The Clinton Foundation is a major spider in the international web and when their dirty secrets come out this will have worldwide implications, including for your country and mine. In my February article I wrote about Benghazi, Haiti and Uranium One. At the time I thought the truth about these scandals would be revealed this year, I now realize it will be next year. This is what Q calls “carpet bombs”, they’re bringing out bits of truth on a daily basis before they drop the MOAB (Mother Of All Bombs). The name of the game is optics, it’s all about public perception, which is built up piecemeal (and which I wrote in my Q article). The same goes for your Prime Minister. She’s dying a slow death by a thousand cuts. Her half-assed Chequers Deal has proven to be a total dud and rather than face the embarrassment of it being voted out in Parliament she opted to simply postpone the vote until Jan. 13 and buy more time to negotiate with the EU. Since that whole deal is weighed in favor of the EU, however, Brussels is not willing to renegotiate or amend it in any way and May can’t keep putting off the vote any longer. She may have survived a vote of no confidence once, but she’s going down. How she manages to hold up her nerves through all this is beyond me! We’ll also be seeing a global reset of the economy. Trump is doing what no president after Andrew Jackson has done: point the finger at the Federal Reserve. The Fed continues to raise rates to bring down Trump’s economy, which is booming thanks to an increase in manufacturing jobs as a result of trade barriers (expect a pullout out of the WTO in 2019 as well) and other protective measures. Of course the job numbers and other official figures, as well as the Stock Exchange, are completely manipulated and Trump knows it, but he’s using all this to toot his own horn so he can blame the Fed for any sudden downturns. Again, this is part of The Plan. At some point next year the Fed will be restructured by making it part of the Treasury, thus nationalizing it and making it subject to auditing. Once their books can be checked, the Fed will crumble and a return to the gold standard will follow. As for the current government shutdown, Trump is playing cat and mouse with the DS and its fun to watch. The government funding for The Wall has already been approved by the House in its current form but not by the Senate in its current form. On Jan. 3, however, the Republicans will control the Senate and Trump can put it to a vote then to get it passed. But POTUS wants to see them squirm and hopefully fold, to remind them of how little power they actually hold, despite them being able to control the House as of Jan. 3. What’s more, POTIS can sign an EO anytime he wants to, declaring border security a national emergency, thus allowing the military to build the wall. He already has the funding for this, since he negotiated a whopping $1.3 trillion for the military in 2018’s Omnibus Bill. This is about humiliating his opponents more than anything else and I’m loving every minute of it! As you can see, things are looking very good indeed. The Plan is rolling along very nicely and much of what I predicted in my two 2018 articles has yet to come to fruition, but I’m sure you will acknowledge the fact that I have been on the right track all along, including my estimation of Q Anon being real and not a LARP. Krijgen hier de ex Presidenten hun verzegelde arrestatie publiekelijk uitgereikt ten overstaan van de gehele wereld ?